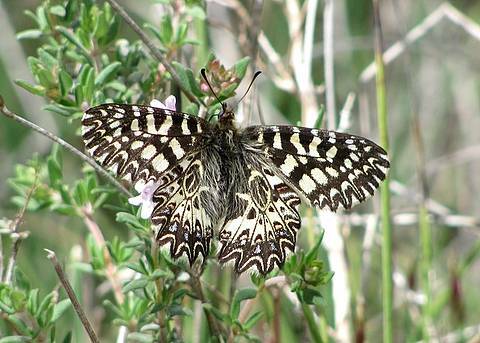 The Southern Festoon is essentially a species of the central area of southern Europe and those found in south-eastern France are at the western limit of the range. 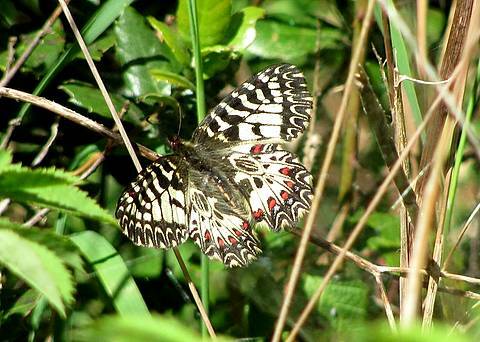 It flies in early spring with the main period seemingly in April. 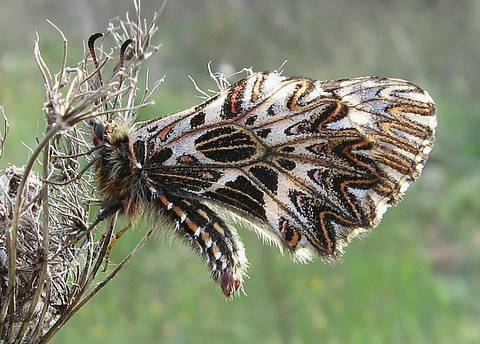 Some specimens are found in May amongst numerous Spanish Festoons (Zerynthia rumina.) 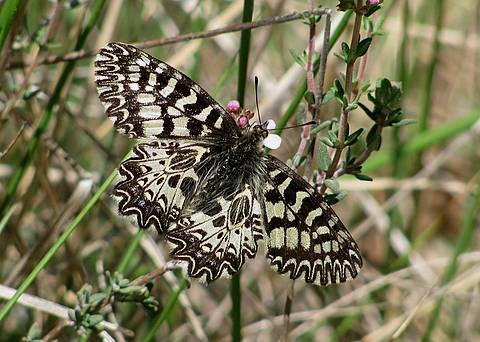 These two species are similar but there are various exterior features sufficient to separate them fairly easily. 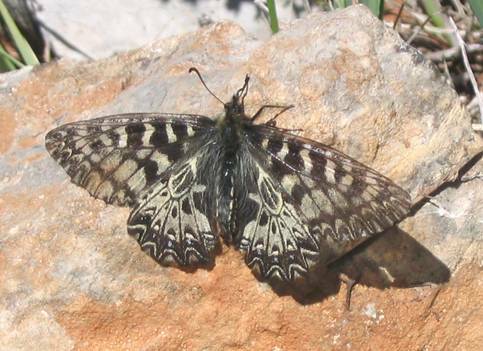 I find the most convenient and rapid feature to use is usually the series of bars in the cell of the upper forewing which are all solid black in Z.polyxena. 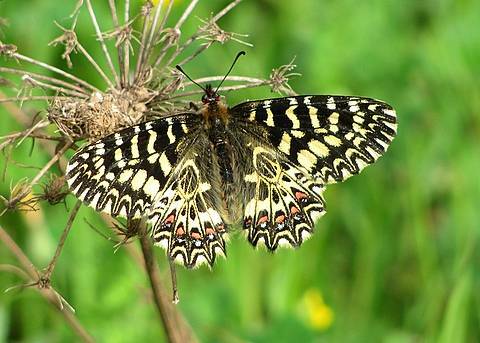 In Z.rumina alternate bars are red or yellow outlined in black, the strength of the red or yellow colour depending on the specimen and the freshness. However (!! ), occasional rumina do have the bars all black so watch out!! 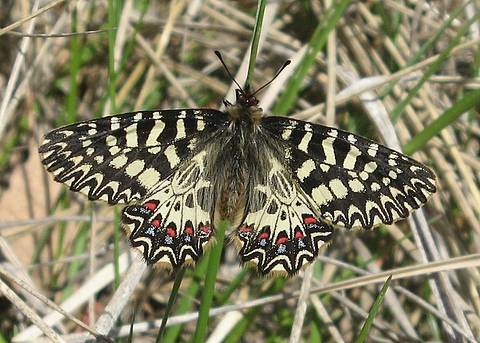 Also, in the cell of the hindwing rumina has a very thick set 'V' mark, whereas polyxena has a 'rugby ball' shape mark with two streaks through it.